If I had to choose, my favorite music of the week would be “If Ye Love Me” by English composer Thomas Tallis (30 January 1505 – 23 November 1585, Greenwich), yet I also love Sir Henry Wood‘s ‘Suite No. 6,’ a transcription of J. S. Bach‘s ‘Lament,’ the ‘Adagio’ from Bach’s ‘Capriccio on the Departure of His Most Beloved Brother’ in Bb major, BWV 992. YouTube released this video on 17 January and I featured it the very same day. I am glad I do not have to choose. The Abenakis are Algonkian/Algonquian Amerindians. They first lived in the Maritime Provinces of Canada, but moved to what is now Quebec. Many died of diseases brought by Europeans, smallpox, in particular. There are Abenakis to this day. They live in Vermont, Quebec and New Brunswick. However, most have been assimilated and most have long converted to Catholicism. 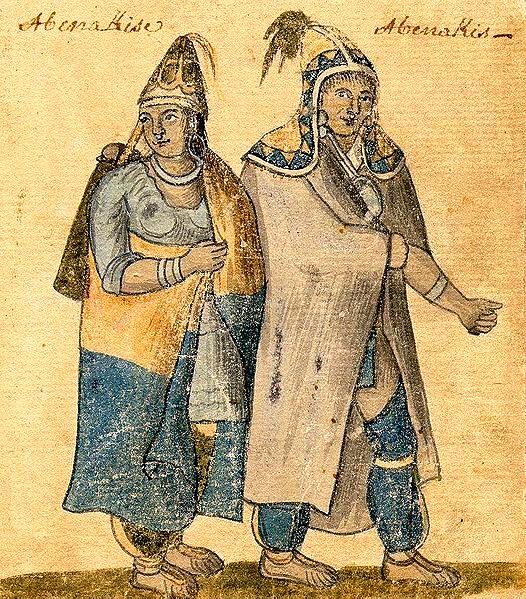 Given that they converted to Catholicism early, settlers may have chosen brides among Abenakis. So the week had a theme. Hobbes condemned factious “private forces.” People want to protect their identity, but need they create a country within a country. People also want to protect themselves, but need they carry dangerous firearms and create militias that threaten rather than protect “the security of a free state.” Do we have the right to encourage discontent? Last Spring, Quebec students whose tuition fees are the lowest in Canada opposed a small raise, a few hundred dollars. Madame Marois stepped in. I am including a video on the Métis of Batoche. The Métis were defeated at the Battle of Batoche (9 May – 12 May, 1885). Louis Riel was hanged on 16 November 1885. Gabriel Dumont, who had requested Riel’s help, had fled to the United States. Wow, marvelous blog layout! How long have you been blogging for? you made blogging glance easy. The full glance of your web site is fantastic, neatly as} the content! My husband and I ended up being so comfortable that Louis could do his survey because of the ideas he came across from your web site. It’s not at all simplistic just to always be offering guidance which often a number of people could have been trying to sell. Therefore we figure out we’ve got you to appreciate for this. The entire illustrations you made, the simple site menu, the relationships you give support to foster – it’s got most fabulous, and it is facilitating our son in addition to us consider that the subject is pleasurable, which is particularly vital. Thanks for all the pieces! I am enjoying your accounts of Canadian history. I thank you Gallivanta. You are one of my most cherished readers. So I will may sure you receive my blogs on Canada’s history. Our history is fascinating, but different from the history of the United States despite the fact that we share a long border. I think the climate helped shape our story. I have been fascinated by Canada ever since I was very very young and did a school project on Canada. I still have the project in my book cupboard. I love my country and would like it to be more united. It just might happen.